Can Grape Seeds Help You Lose Weight? A new report suggests that Chardonnay grape seeds could be packing a weight-loss secret. Well, at least the seeds of the grape it’s made from could. Chardonnay, America’s favorite white wine – California grows nearly 100,000 acres of the grape a year – could be packing a weight-loss secret within its seeds. Grape seeds, a waste product from the winemaking process, have long been considered a burden to vintners. Left over after the grapes are crushed, the seeds, along with a mushy concoction of skins and stems, are usually disposed of and considered a necessary waste product of the process. Taking advantage of this waste stream, a research team, led by USDA agricultural research scientist Dr. Hyunsook Kim, isolated the seeds and processed them into a flour that could be the world’s next super food – and then fed it to hamsters. The hamsters dining on Chardonnay flour displayed significantly lower cholesterol levels, decreased abdominal fat and reduced weight gain. The Chardonnay flour, along with flour made from Syrah and Cabernet Sauvignon grape seeds, was introduced to 40 hamsters that had previously been put on a high-fat diet. The hamsters dining on Chardonnay flour displayed significantly lower cholesterol levels, decreased abdominal fat and reduced weight gain compared to those on red grape seed diets. During the tests all the hamsters continued with the same high-fat diet as before the flour was introduced. 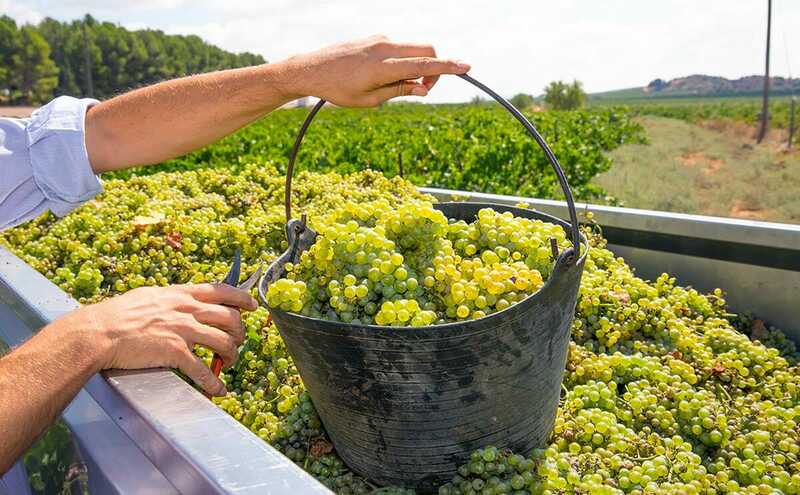 With over 4 million tons of grapes crushed per year (of which nearly 750,000 tons are Chardonnay) in the U.S., this recent discovery could create an exciting alternative income source of vineyard-owners and winemakers alike. However, don’t go rushing out to your local Whole Foods in search of this fat-burning flour just yet. The grain is currently undergoing human testing at the Mayo Clinic in Rochester, Minnesota and no date has been set for when the product will be available for purchase. If you’re really keen to be ahead of the health-food wave the clinic is accepting volunteers to participate in the trials. So the next time you’re sharing a bottle of wine and someone asks you if you’ve ever heard of teff, or freekeh, take a slow sip and let him or her know they’re living in the past, because the next superfood could be right under their nose.